BELLEVILLE – Belleville is getting a water buggy. 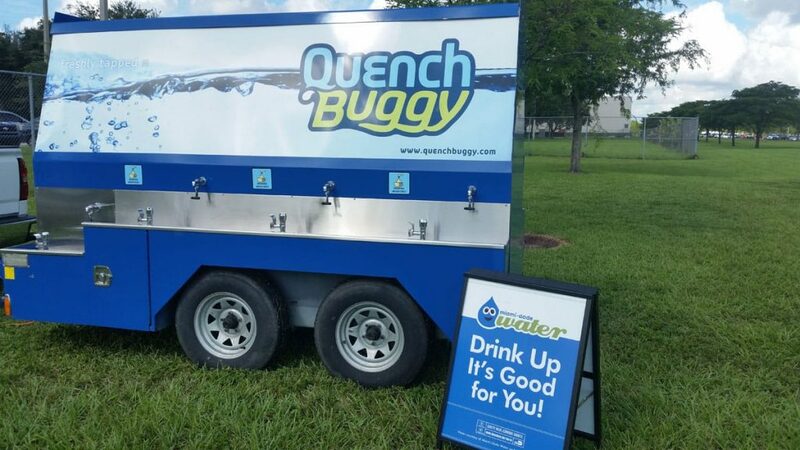 The plan is to take the water buggy to events in the area so people can bring reusable water bottles, take them to the buggy and fill them up on site. “There is an issue of a lot of water bottles being discarded into the garbage or on the ground at public events around Belleville,” said Coun. Edgerton Boyce, the chair of the Green Task Force. It’s the group that came up with a plan and costing for the buggy. They were able to go to council two weeks ago during budget deliberations and were successful in getting council’s approval to purchase it. Boyce says there’s also an educational aspect to the purchase of the buggy. The plan is that staff will go with the buggy to events so they can educate people on using reusable containers instead of the plastic water bottles. “People know they can recycle, but many don’t get recycling,” he said. The city will take the buggy to events like the Waterfront Festival or Ribfest. It’s also considering the idea of having people advertise their business on the buggy. Boyce says there’s many companies that have been looking at the idea of advertising. This possibility would offset some of the costs of buying and operating the buggy. The buggy is going to be operated through both the environmental services department and the water department at the city. They will supply the staff to transport and to accompany at events. Boyce says he’s spoken to members in the community who think purchasing this unit is a great idea. “They go to these events and they look in the garbages and they see garbage containers overflowing with bottles,” said Boyce. He says the buggy can also be used for water advisories or emergency purposes. There have been times where the city has had to deliver water. “If there was a flooding emergency or something and we needed that unit to be there for the volunteers for water there’s many uses for it,” he said.